Observe, inhale, crack, crunch… and TASTE! 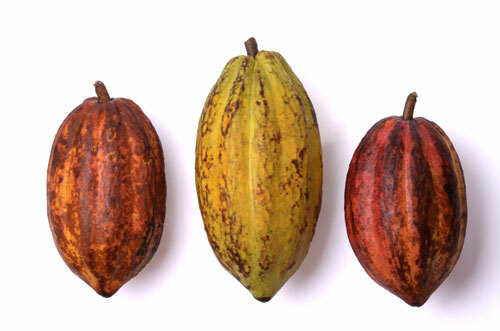 A fun quiz covering the history and production of chocolate. The expertise and origins of Mademoiselle de Margaux. Presentation and tasting of our specialities. Discussions and socialisation around the tasting table… guaranteed! Stop off and treat yourself to some chocolate, and come and sample our specialities for yourself! To help awaken your senses even more, part of the tasting session will be done blind! Groups of 8 people or more. All year round, Monday to Friday, excluding public holidays. 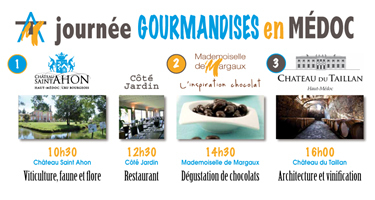 “Gourmandises en Médoc” programme organised by Vinotrip. Prices: adults: €55, children: €20. April to October, Tuesday to Saturday, excluding public holidays. Click here to book with Vinotrip.